Oracle Mobile Approvals for Oracle E-Business Suite is a smartphone app (Android and iOS) that lets you respond on-the-go to your pending approval requests, anywhere and anytime. You can take quick action on approval requests for expenses, requisitions, purchase orders, recruitment vacancies and offers, and more. Oracle Mobile Approvals app can be quickly customized to suite your branding and custom workflow needs. Mobile Application Archives (MAA) provides the archived source for the approvals app. 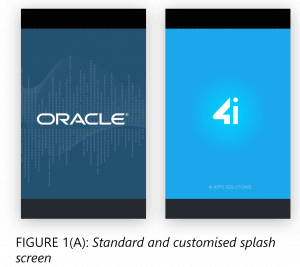 Developers can use Oracle Mobile Application Framework (MAF) to generate an enterprise version of the app from the archived source with enhanced security and enterprise distribution support. The content for approval notifications can be configured based on what information is most important to help approvers make a decision. 1. Configure list of approval notifications and its contents to be displayed on mobile app. Approval notifications from custom workflow can also be included. 2. Define Approval types and group approval notifications that belong to a business flow in an Oracle E-Business Suite application to a type. For example, seeded approval types include Expenses, Purchase Orders, Requisitions, and so on. 3. Configure approval notification header with selected attributes. 4. Customize notification body details. To allow users to access Oracle E-Business Suite mobile apps from outside of your organization’s firewall, your Oracle E-Business Suite environment must be set up in a DMZ configuration. Alternately, users may access the Oracle E-Business Suite mobile apps through an intranet connection such as a virtual private network (VPN). Third party MDM solutions can be used to distribute your customized Oracle Mobile Approval app. Cloud-based, so updates are automatic and painless. Passwords, blacklists and other security policies enforcement. Remote disconnection or disabling of unauthorized devices and applications. Scalable, new users and increasingly sophisticated devices can be accommodated. reduce support costs and business risks. Alternatively, you can distribute your app to users by hosting the installable file in your private server. 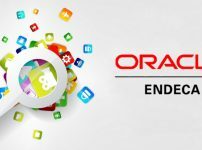 Oracle Mobile Approvals for Oracle E-Business Suite is compatible with Oracle E-Business Suite 12.1.3 and 12.2.3 and above. To use this app, you must be a user of Oracle E-Business Suite, with mobile services configured on the server side by your administrator. 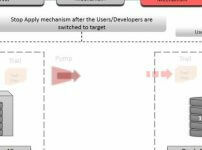 To implement the Approvals Data Services Framework in your Oracle E-Business Suite installation, apply the current ATG_PF Consolidated Patch for Mobile Applications Foundation as shown in Oracle E-Business Suite Mobile Foundation Release Notes, My Oracle Support Knowledge Document 1642431.1. Oracle JDeveloper Studio Edition with Oracle MAF 2.0 extension. Hi, Fabulous tips! Thanks for the insights. Looking forward to checking some of them out. Good job Oracle. 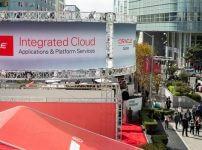 Customizing apps and deploying it into multiple devices is a very challenging task and Oracle has the solution for it. Cheers.